High-Sensitivity GPS - the Low Cost Future of GNSS ?! In general it has to be distinguished between GPS receivers and evaluation techniques used by surveyors, and the mass market solutions. Main difference is the accuracy that can be reached. During the last years two developments have taken place that may change the attitude of a surveyor regarding this separation. On the one hand research and implementation regarding use of low cost GPS receivers for geodetic purpose is on the way. In future this may lead to a merger of these two application fields. On the other hand the mass market gets more interesting as a working field for surveyors. The latter is connected with the catch words wireless-assisted GPS and more recently high-sensitivity GPS. These new technologies allow to establish a higher availability of GNSS signals in urban canyons or even indoor. An overview about these technologies is given in this paper as well as an insight into the respective market. The paper deals with quality characteristics like availability and accuracy of high sensitivity GPS receivers as well as navigation receivers. Recent results obtained at University Stuttgart are presented. As expected availability increases, but accuracy is reduced, if low quality signals are tracked. Additionally the possibilities for the geodetic community to reach “geodetic” accuracies are outlined based on new results using low cost receivers. Im Allgemeinen ist zwischen hochgenauen GPS Empfängern und Auswertetechniken und den Massenmarktlösungen zu unterscheiden; insbesondere aufgrund der erreichbaren Genauigkeit. In den letzten Jahren haben zwei Entwicklungen stattgefunden, die die Einstellung des Vermessers hinsichtlich dieser Trennung ändern könnten. Einerseits wird der Einsatz von Low Cost GPS Empfängern für geodätische Anwendungen erforscht. Andererseits steigert sich die Attraktivität des Massenmarkts für den Vermesser. In diesem Zusammenhang spielen die Schlagwörter wireless-assisted und high-sensitivity GPS eine große Rolle. Diese neuen Technologien erlauben eine höhere Verfügbarkeit von GPS Signalen in Straßenschluchten oder sogar innerhalb von Gebäuden. Der Beitrag gibt sowohl einen Überblick über diese Technologien als auch einen Einblick in die jeweiligen Marktsegmente. Der Beitrag beschäftigt sich mit Qualitätsmerkmalen wie Verfügbarkeit und Genauigkeit von High-Sensitivity GPS Empfängern und Navigationsempfängern. Wie erwartet steigt die Verfügbarkeit bei gleichzeitiger Reduktion der Genauigkeit, wenn schwache GPS Signale genutzt werden. Surveyors use the Global Positioning System (GPS) as well as the other active or planned Global Navigation Satellite Systems (GNSS) as tools for precise positioning. The active Russian GLONASS and the planned European Galileo are seen as improvements to gain accuracy for positioning in the 10 cm up to 1 mm level. Additionally the realtime capability is of importance for the surveyors due to economic reasons. This attitude leads to a focus on the market for high precise and high price (more than 10 000 €) positioning receivers that use the carrier phase for positioning. This market is controlled by some manufactures that provide high quality receivers and antennas as well as realtime or post-processing software (e.g. Leica Geosystems, Trimble, Topcon). As a typical example the SmartStation of Leica Geosystems is presented in figure 1. The European commission predicts the GNSS market share for geodetic applications to 1 %. Most of the GPS (and in the future GNSS market) is not within the focus of the surveyors: traffic applications, location-based services, navigations markets, recreation and touristic markets. The receivers and antennas used for these markets are integrated into car navigation systems or mobile phones to create services often called location based services. The technology is hidden behind the service respectively the application. The user often even does not know that he uses GPS technology, since he is interested in the result only. This market follows a rushing development regarding the decrease of investment costs for the users as well as the increase of quality. Here the predicted market share reaches more than 85 %. Figure 1 presents a typical product of the navigation industry, the Garmin StreetPilot. The market for navigation type receivers shows some global players like Garmin or Magellan, but the markets for integrated systems as well as for manufactures of receivers boards or chip sets like SiRF or u-blox are much more dissected. In contradiction to high precise positioning receivers the price for chip sets is clearly below 100 € and navigation receivers bay me purchased beginning with 100 € too. Here the quality focus is much more on availability than the accuracy of the position. The increased number of satellites due to the additional active or planned GNSS play an important part for this market segment. One additional important development has to be noticed: the phase data is part of the internal processing and, in any case for some of the chip set providers, part of the output data too. This should enable the use of chip sets for geodetic purpose in the future. One important change in the domain of satellite positioning is be the shift from pure GPS positioning to GNSS positioning. This development is and will be based on two facts. On the one side the start of new GLONASS satellites made the Russian satellite system a valuable support to the GPS. The providers of GPS receivers react on this improvement by the integration of GLONASS into their hard- and software products. On the other side the European commission together with the ESA develops the European satellite navigation system Galileo that should be operable in 2008 (EUC 2001). Due to these facts a distinct improvement of GNSS availability will be the result (EISFELLER & SCHÜLER 2006). A detailed discussion of these effects is beyond the scope of this paper. The paper will outline recent trends regarding GNSS technologies in chapter 2. Chapter 3 deals with the possibilities to improve the availability of GNSS due to these new technologies and chapter 4 presents results regarding GNSS accuracy improvement using receivers working on the base of the presented technologies. The effects of these quality improvements on the working field of the surveyors is outlined at the end of the paper. The defined value on the earth surface leads to the transmitting signal power for the c/a-code at the satellite to 14.3 dBW that equals 27 Watt (W). Using the transmitting power given before, the value of -160 dBW may be reached only, if no attenuation occurs. In reality the GPS signals are attenuated e.g. by the atmosphere, trees, buildings. According to WIESER & HARTINGER (2006) the attenuation may reach values about 5dB in cars, up to 20 dB in buildings and more that 25 dB in subterranean garages. These attenuation factors lead to the problems that occur with the acquisition of GPS signals inside buildings. “Normal” GPS receivers, especially GPS receivers for geodetic applications, do not work in-door, because the sensitivity is not sufficient to track signals with low dBW values. If low cost one frequency receivers are concerned, most providers sell receivers that acquire signal below -180 dBW. These receiver type is called high-sensitivity receiver. In the following it will be called HS GPS. These high-sensitivity receivers reach an improved signal-to-noise ratio (SNR). Due to the fact that the signal power may not be changed, the noise power that is a function of bandwidth and noise density, has to be reduced to improve the SNR. For this task a longer integration time for the acquisition of a signal is required to reduce the effect of the noise on the correlation process for the c/a-code. This is not possible due to the limitation by the Doppler effect as well as the length of the data bits of the navigation message. This may be overcome, if non-coherent integration is used additionally. Nevertheless the possibility to acquire signals with low dBW values may be realised only in hours. Due to this reason HS receivers use many correlators to reduce the search space for each correlator. Typical recent values are e.g. 200 000 correlators. In contradiction “normal” GPS receivers work with 36 correlators only. A good overview and more details are given e.g. in WIESER & HARTINGER (2006). Sometimes the integration time is still to large, especially if the attenuation is to large. The problem may be solved, if external information are available aiding the receiver to reduce the search window for each correlator. These external information are provided using so-called wireless assisted GPS described in the following section. The integration of external information is called wireless assisted or more simple assisted GPS. As ascertained by WIESER & HARTINGER (2006) external information are required, if the carrier-to-noise-power density-ratio ( ) is below 28 dBHz. The is defined as the product of SNR in dB and integration time in seconds. The possible information to aid the receiver are the position of the receiver antenna, the positions of the satellites, the velocities of the receiver as well as the ones of the satellites and the time information. All these information will aid the receiver to know where to search for the satellites. The positions of the satellites are included in the satellite ephemeris. This is valid for the time information and indirectly the satellite velocities too. In general these information are included in the navigation message. To load down this message the receiver needs contact to at least one satellite 12.5 minutes (for ephemeris 30 seconds is sufficient) without any interruption. This is often not possible in the case of cold start of a GPS receiver in an environment with strongly attenuated signal like inside a building. The problem may be overcome by transmitting the navigation message that is acquired at another location to the GPS receiver. One possibility to do so is the transmission via mobile phone communication e.g. GSM or UMTS. Additionally the position of the receiver antenna may be determined and transmitted to the GPS receiver. One possibility to estimate the position of the GPS receiver is the use of mobile phone positioning technology (e.g. WUNDERLICH et al. 2006). It has to be remarked that velocities of the receiver antenna may be determined by different methods too. The transmission via GSM is the reason that one talks about “wireless assisted GPS” or shorter “assisted GPS” (A-GPS). CARVER (2005) shows the improvement that can be reached by different aiding information starting from ephemeris information only, up to time, ephemeris, receiver position and satellite velocities expressed in Doppler values. He presents gains from 165 dBW for pure ephemeris aiding up to 187 dBW for the last step using all aiding information within the same required acquisition time. WUNDERLICH at al. (2006) distinguishes between network-based A-GPS, where the measured data is transmitted to a central computing station, from where the receiver position is transmitted back to the mobile user, and network-assisted, where the GSM-GPS-combination determines the position off the GPS receiver on the GPS receiver. In both cases the aiding information is send via mobile communication to the mobile user before. Up to now the establishment of such central computing centres is not realized all over the world; e.g. in Europe the intention to implement services based in the mentioned techniques is low, since data privacy is difficult to ensure. First results are obtained e.g. in USA (CARVER 2005, GARIN et al. 1999). The availability of GPS may be improved by an improved sensitivity, meaning the acquisition of signals with a low dBW value, using GPS receivers (HS GPS) in combination with aiding information (A-GPS) or without this information. Besides, the availability may be improved by the use of signals of Galileo and GLONASS. The second possibility is not discussed in this paper, since experiments are not available. Recently some investigations using HS GPS are presented that discuss availability and accuracy of this technology. WIESER & HARTINGER (2006) report availability improvements up to 60 % in build up areas. The accuracy is documented with 95%-confindence regions from 1.4 m for points without shadowing effects up to 142 m for the built up area. LACHAPELLE (2004) determines a 75 m 95%-confindence region inside a commercial building. EISSFELLER at al. (2005) estimated three-dimensional standard deviations of about 25 m for the transition between indoor and outdoor environment. Indoor they achieved standard deviations of up to 31 m. For the indoor environment they admit that the standard deviations are repeatability standard deviations not referred to known coordinate values. The high availability as well as the accuracy values are confirmed by investigations that deal with the potentiality of navigation receivers. These receiver type is frequently equipped with high-sensitivity chips. Among others RAMM & SCHWIEGER (2004) obtain availability rates up to 100 % and three-dimensional standard deviations of 7 m even under dense canopy for the best tested navigation receiver. To investigate the availability and accuracy of HS GPS receivers available on the market the IAGB purchase three chip sets including the respective evaluation kits. Table 1 gives an overview about the characteristics of the three receivers SiRFstarIII, u-blox LEA-4T and Fastrax iTrax 03 as given by the manufacturers. The three receivers fulfill the HS requirement to track signal below -180 dBW. The differences in tracking sensitivity are small. All of them may be used for A-GPS too. Due to the lack of A-GPS central servers in Germany it is not possible to present results regarding this technique. In the last column of the table the possibilities to get the phase data out of the receiver are presented. Obviously only the u-blox LEA-4T may be used for this application. In chapter 4 the author will deal with this topic. For the investigations a special mount for centering the three receivers is developed. Figure 2 shows the three antennas mounted on the adapter. The research regarding availability and accuracy of receivers is carried through within a study thesis at IAGB; it is still ongoing. The measurements are carried through for environments with different shadowing effects. Each measurement is carried through for 20 up to 30 minutes. The three GPS receivers are working at the same time and the respective navigation solutions are stored on a computer. The “true coordinates” used for determination of the standard deviations are measured and estimated by precise geodetic instruments (PDGPS and tachymeter) and methods. In the following the author presents the results for the scenarios “free horizon”, “extreme multipath” and “indoor”. Figure 2 shows the environments for the latter two scenarios. Figure 3 presents an exemplary plot of the deviations of the measured coordinates from the true coordinates for the scenario “indoor”. The red cross on the left site indicates the true position of the point. On the right site of figure 3 the time period, in which the window (compare figure 2 right) was closed is clearly visible, because no data is available in this time. The right as well as the left site of figure 3 show some outlyers of more than 100 meters in the mentioned time period. Table 2 presents the availability and the accuracy results for the different scenarios. The availability is given in percentage of all possible measurements for the measured time period. For the accuracy reproducibility standard deviations (RMS) are given. The three scenarios, the three receivers (Rcv. No.) and horizontal, the vertical and the three-dimensional (3D) RMS are listed. Additionally the repeatability standard deviations (precision) are given for the three-dimensional case. The difference between 3D RMS and 3D precision visualizes the influence of systematic effects. The three receivers are named by one, two and three to avoid discussions with the manufactures for the time being, since the results are intermediate. Table 2 makes clear that in general the availability and the accuracy decreases for environments with attenuated (indoor) and reflected signals (extreme multipath). The receiver 1 delivers the best results, even for indoor environments. For this receiver a 3D RMS of 43 m could be reached. The other receivers get a worse RMS, but the results still coincide with the ones presented in chapter 3.1. Although the sensitivities of the three receivers were specified almost indentical by the manufactures, the availability is quite different: from 87 % to 14 % for the “indoor” scenario. Here further investigations have to be carried through in the future. Nevertheless “normal” GPS receivers would not get any position solution for the scenarios “extreme multipath” and “indoor”, so that it may be concluded, that any of the HS receivers lead to an improvement of availability. The general information as well as the intermediate results at IAGB point out that the use of HS GPS leads to a gain in availability. Measurement in urban canyons as well as inside buildings are possible. The accuracy decreases in the case of reflected and/or attenuated signals e.g. inside buildings. Nevertheless the acquired positions may be used for many mass market applications, but they are not usable for geodetic purpose. A clear improvement of accuracy for GPS positioning is possible only by the use of phase data. The literature documents differences in accuracy between code and phase solutions with a factor of approximately 100 (e.g. 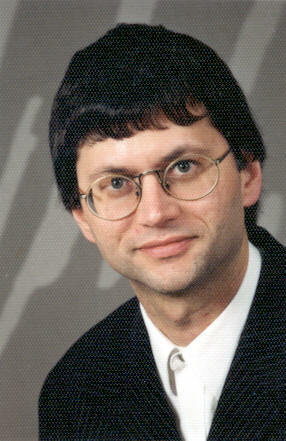 SCHWIEGER 2003). In principle almost all GPS receivers use the phase data. Low cost receivers like navigation type receiver, chip sets or integrated receivers use the phase only to smooth the code observations and in the following to smooth the estimated position over time. In general the phase data are not available to the user. The recent HS GPS receivers, like the ones mentioned in table 1 in chapter 3, have the possibility to extract the phase data using a documented interface. Unfortunately the interface is not activated e.g. for SiRF chips like the SiRFstarIII. It is a premium option not available to the public or to universities. But other manufactures like u-blox provide this possibility e.g. for the LEA-4T, so that the phase data can be used for positioning in realtime or post-processing. Currently the A. Wieser of the TU Graz uses the phase data for investigations regarding monitoring of landslides. The IAGB plans some research for the future, too. As written before HS GPS chips are implemented in different applications like car navigation systems or navigation type receivers. For example SiRF chips are integrated into several Garmin receivers. This is the reason that results obtained with navigation receivers are comparable to results obtained with HS GPS receivers. HILL et al. (2001) presented first results. Recently ABIDIN & MUCHLAS (2005) reach standard deviations below 20 cm for baselines up to 100 km length and 20 minutes measurement time.. In the following the author will focus on investigations using Garmin eTrex Vista receivers that are equipped with a SiRFstarII chip. At IAGB several investigation have been carried through (SCHWIEGER 2003, SCHWIEGER & GLÄSER 2005, SCHWIEGER & WANNINGER 2006) to emphasise on the possibilities of accuracy improvement. In SCHWIEGER & GLÄSER (2005) some investigations using Garmin eTrex Vista receivers were presented. It is referred to the same publication for a detailed explanation regarding the used instruments and equipment as well as the estimation algorithms. In SCHWIEGER & GLÄSER (2005) the remaining problem was the solution for half ambiguities and cycle slips. Due to this reason the software Wa1 developed by Lambert Wanninger was adapted to this problem. The following chapter presents extracts of SCHWIEGER & WANNINGER (2006), who solved the problem by the adapted WA1 software. In the following a brief introduction is given. Figure 4 shows the pillar network of University Stuttgart in Stuttgart-Vaihingen. The coordinates are known with standard deviations at mm-level. The measurements with the Garmin receivers have been carried through in 2004. One Garmin eTrex Vista receiver has been placed on pillar 6. The second receiver was used on the pillars 1, 4, 5, 7 und 10. Figure 4 shows the measured baselines too. All off them were measured approximately 30 minutes. The baseline lengths accounts up to 1.2 km. Pillar 1 is shadowed by trees and pillar 10 is located in the vicinity of a building. For these two pillars shadowing, multipath and diffraction effects are expected. The characteristics of the baselines are summarized in table 3. For baselines without shadowing the solution could be generated automatically, but for pillars 1 and 10 one respectively two satellites have to be eliminated during the post-processing. For these steps the residuals have to be analysed. If the analyse step is not carried through, erroneous ambiguities lead to errors in the coordinate space of up to 30 cm. This shows that an automatic error-free estimation of the ambiguities is possible only in case of further adaption of the Wa1 software to low cost receiver technology. Fig. 5 allows the statement that under the conditions of 30 minutes measurement time and baseline lengths up to 1.1 km standard deviations of 1.5 cm for the horizontal components and of 1.0 cm for the height may be achieved. In SCHWIEGER & GLÄSER (2005) the same baselines were evaluated using the Leica software SKI-Pro, that could not overcome the problem of half ambiguities and cycle slips. Figure 6 presents a comparison of the two positioning results. The three-dimensional deviations to the given mm-accurate coordinates are given. In general the deviations are clearly smaller for the Wa1 solutions. This is valid for baselines measured with a combination of Garmin receivers and Leica receivers too (SCHWIEGER & WANNINGER 2006). The potential of these low cost receivers for kinematic applications is of market interest too. In the following figure 7 the estimated coordinates are presented for an exemplary baseline epoch-by-epoch; meaning that the solution for the coordinates is realised with the respective measurements of one epoch only. Systematic deviations, that have been estimated, are eliminated before the estimation of the random deviations is realized. The precision (repeatability standard deviation) of these solutions shows the same magnitude like for geodetic receivers for the measured short baselines. These standard deviations are smaller than 1 cm for the horizontal components and slightly above 1 cm for the height. These accuracy levels show that low cost receivers may be used for precise kinematic applications too, if appropriate software is used. Low cost GPS receivers that are equipped with HS GPS chips may be used for precise GPS positioning as well as for precise kinematic applications. The accuracy is at the level of 2 cm for baselines up to 1.1 km and measurement times of approximately 30 minutes. These results are sufficient for surveying applications like cadaster and construction works. The results are obtained in post-processing using an adapted software. For the future the results have to be delivered more reliable and in realtime to convince practioners of the low cost approach. Further improvements are expected due to the fact that the manufacturer of HS chip sets recently provide higher sensitivity and phase data without the “half-cycle-slip-problem”. The use of HS GPS for geodetic purpose seems to be possible in the near future. The preceeding chapters have shown that on the one side the availability of GPS signals increases due to new receiver technologies. This will make the GNSS application possibilities wider within the level of low cost and low accuracy mass market. The use of additional sensors for positioning gets less essential. It will be still important for application demanding for high reliability and availability as security related tasks like aviation applications. On the other side the author has shown that the accuracy of navigation type receivers and therefore mass market HS chipsets may meet the requirements of a surveyor, if the right evaluation methods are used. This means that the mass market may influence the surveying community in the next future. In the extreme case this technology may make special geodetic receivers obsolete. Than the providing of software would be the only task for the manufacturers of geodetic GPS respectively GNSS receivers. - and GNSS surveying applications may be mass market driven in the future. In the context of this paper the author like to present the activities of the new established Working Group 5.4 “GNSS” within the Commission 5. Within this paper an extract regarding the planned Special Study Groups is given. Due to the importance of the mass market for the surveyors outlined in this paper, a Special Study Group 5.4.1 “Cost-effective GNSS” is established. Everybody interested in the topics of this paper may participate in this group. As a matter of course you are invited to participate in any other Special Study Group or Working Group within Commission 5 too. The author thanks the Ms. Junyu Mao, who performed the measurements and the computations for chapter 3.2 within the scope of her study thesis. ABIDIN, H.Z., MUCHLAS, A. (2005): GPS Surveying using Navigation Type Receivers. South East Asia Survey Congress 2005, 21-25 November, Bandar Seri Begawan, Brunei. ARINC Research Cooperation (2003): Navstar GPS Space Segment, Navigation User Interfaces. Interface Control Document ICD-GPS-200 Revision IRN-200C-004, El Segundo, California. CARVER, C. (2005): Myths and Realities of Anywhere GPS. GPS-World, Vol. 16, No. 9. EUC (2001): Galileo, unverzichtbar für Europa, Information of European Commission (EUC). EISSFELLER, B., SCHÜLER, T. (2006): Das Europäische Satellitennavigationssystem Galileo. In: GPS und Galileo. Beiträge zum 66. DVW-Seminar am 21. und 22. Februar 2006 in Darmstadt, Wißner Verlag, Augsburg, 2006. GARIN, L.J., CHANSARKAR, M., MIOCINOVIC, S., NOMAN, C., HILGENBERG, D.: Wireless Assisted GPS-SIRF Architecture and Field Test Results. ION GPS’99, 14-17 September 1999, Nashville, USA. HILL, C.J., MOORE, T., DUMVILLE, M. (2001): Carrier Phase Surveying with Garmin Handheld GPS Receivers. Survey Review, pp 135-141. LACHAPELLE, G. (2004): GNSS Indoor Location Technologies. The 2004 International Symposium on GNSS/GPS, Sidney, Australia, 6-8 December 2004. RAMM, K., SCHWIEGER, V. (2004): Low-Cost GPS Empfänger für Anwendungen im Forstbereich. Flächenmanagement und Bodenordnung, Vol. 66, No. 4. SCHWIEGER, V. (2003): Using Handheld GPS Receivers for Precise Positioning. 2nd FIG Regional Conference, Marrakech, Morocco, December 2-5. SCHWIEGER, V, GLÄSER, A. (2005): Possibilities of Low Cost GPS Technology for Precise Geodetic Applications. Proceedings on FIG Working Week 2005, Kairo, Ägypten, 16.-21.04. 2005. SCHWIEGER, V., WANNINGER, L. (2006): Potential von GPS Navigationsempfängern. In: GPS und Galileo. Beiträge zum 66. DVW-Seminar am 21. und 22. Februar 2006 in Darmstadt, Wißner Verlag, Augsburg, 2006. WIESER, A., HARTINGER, H. (2006): High-sensitivity GPS: Technologie und Anwendungen. In: GPS und Galileo. Beiträge zum 66. DVW-Seminar am 21. und 22. Februar 2006 in Darmstadt, Wißner Verlag, Augsburg, 2006. WUNDERLICH, T., PREIS, S, SU, C. (2006): Wireless Assisted GPS – technische Möglichkeiten und notwendige Infrastruktur. In: GPS und Galileo. Beiträge zum 66. DVW-Seminar am 21. und 22. Februar 2006 in Darmstadt, Wißner Verlag, Augsburg, 2006.